Have you gone through some sort of athletic injury in your past that likes to surface over and over again when you exercise? If so, then you should know that you are not alone and there are a lot of other people like you who are dealing with the same thing. Working with our professional staff at Mill Creek Foot and Ankle Clinic will help you to learn more about athletic foot care, treatment and surgery in Mukilteo. Most foot injuries are caused by some sort of trauma, which may include an improper warm up, overuse of the muscles, an overly intense workout, the wrong footwear or even having to be on hard surfaces. High stress is always put on your feet and ankles whenever you are in an athletic situation, which calls for the help of a professional that will be able to treat your condition effortlessly. Having a podiatrist in your corner can be a great way to show you how to warm up, what you should be wearing on your feet and what you could do to soothe your sore muscles after a workout or game. The last thing you will want to do is let blisters, torn ligaments, knee pain, sprained ankles, calluses, shin splints or fractures keep you from taking on the next big run or leave you out of a big game on your schedule. The professional team at Mill Creek Foot and Ankle Clinic will be able to help you with athletic foot care, treatment and surgery in Mukilteo. 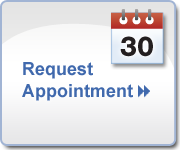 Call us today at (425)482-6663 so that you can set up a time for an initial appointment to learn about all of your options and the ways that you can take care of yourself.